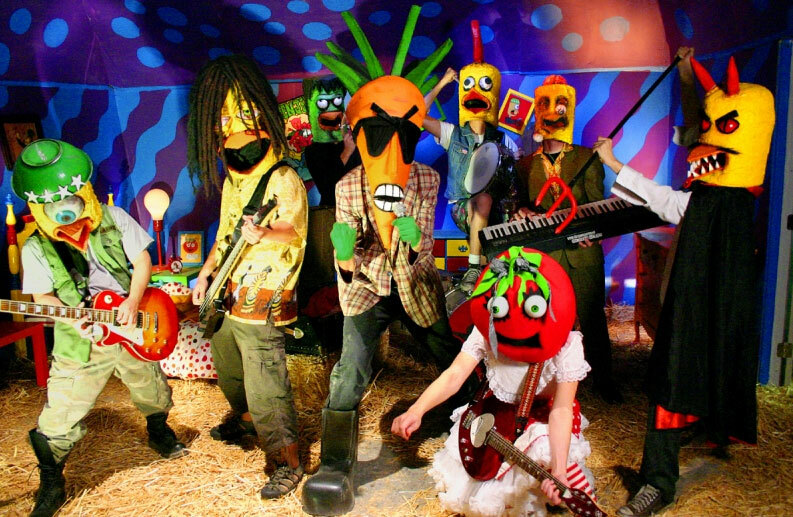 The Tribute Album would not exist if it were not for Aaron Cohen and his California based musical group, The Radioactive Chicken Heads. Lead singer and band leader Aaron Cohen had Barry’s albums growing up in California and first sent Barry an EP his band recorded in 2002 of Barry’s song Underwear. Barry immediately fell in love with the energy and sound of the performance and a few years later, Aaron suggested the idea of a Tribute Album and began assembling groups and artists to cover Barry’s songs. Aaron and the group went on to record covers of additional songs: I Eat Kids, I Wanna Be a Dog, and I Looked Into the Mirror; What Did the Mirror Say as well as I Didn’t Mean To where Barry joins Aaron alternating verses.